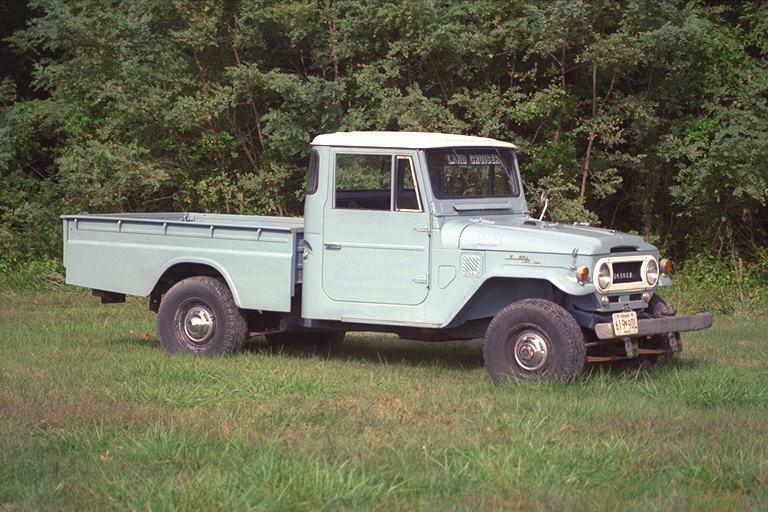 My girlfreind "Maggie" is a 1966 model in the Toyota Powder Blue color. I do not know the "correct" name for this color. It has a removable hardtop, 3 on-the-tree, but is missing the rear window guard that goes on the front of the bed. 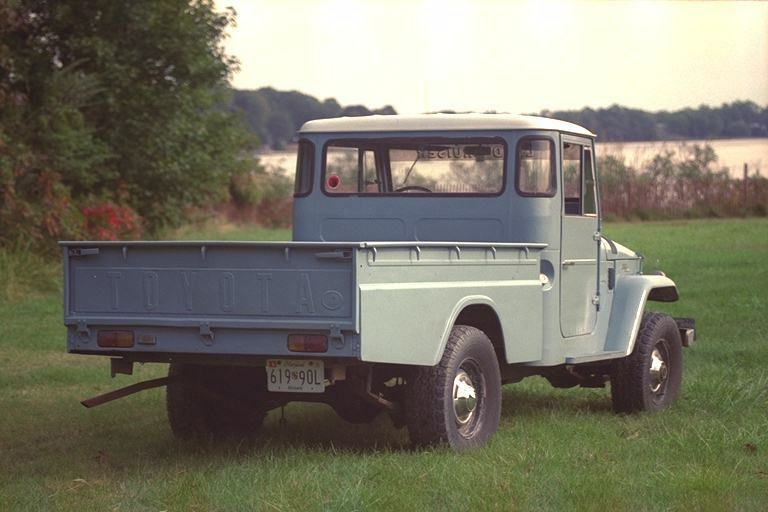 This is a stock truck except for the addition of Conn-Fer shackles and a 1978 vintage 2F engine.